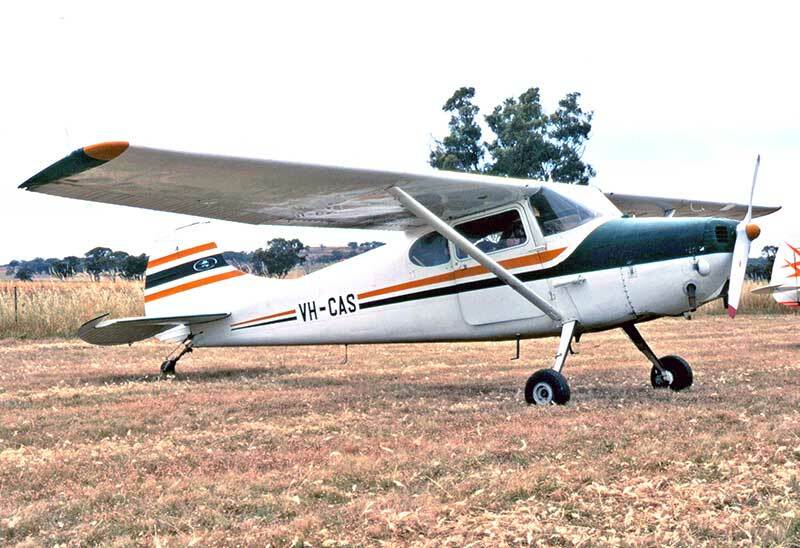 Oldest Australian Cessna flying during the decade was C-37 Airmaster VH-UZU, seen at RAAF Richmond NSW October 1988. 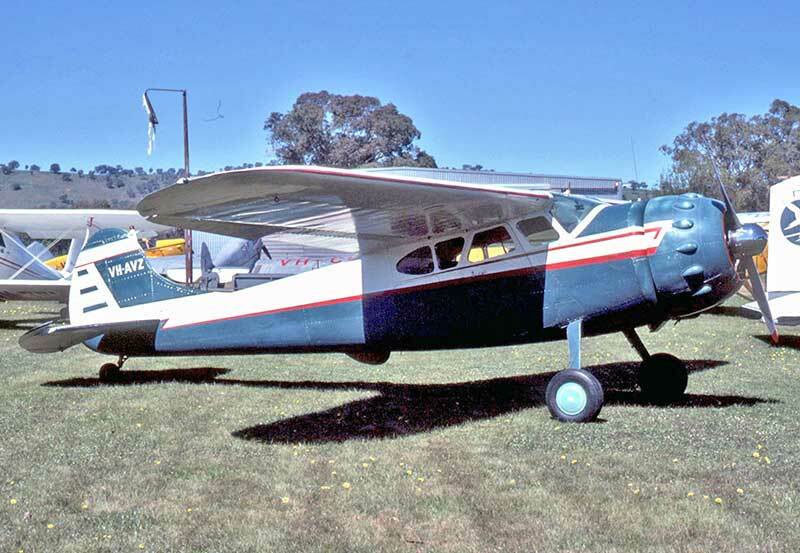 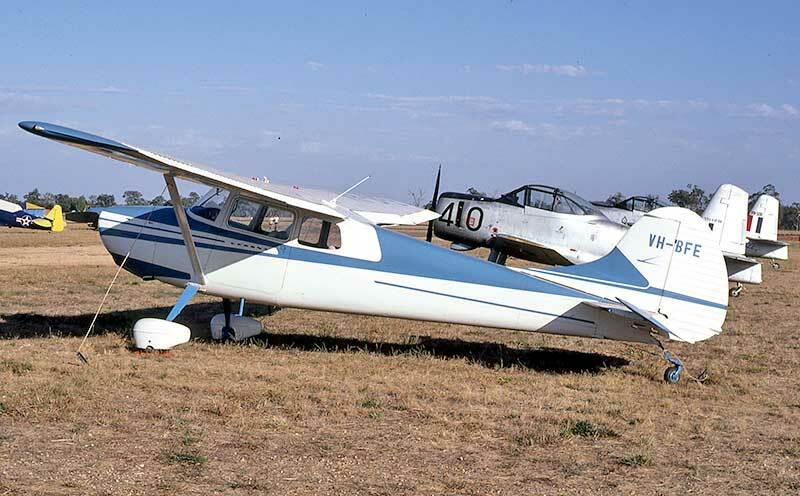 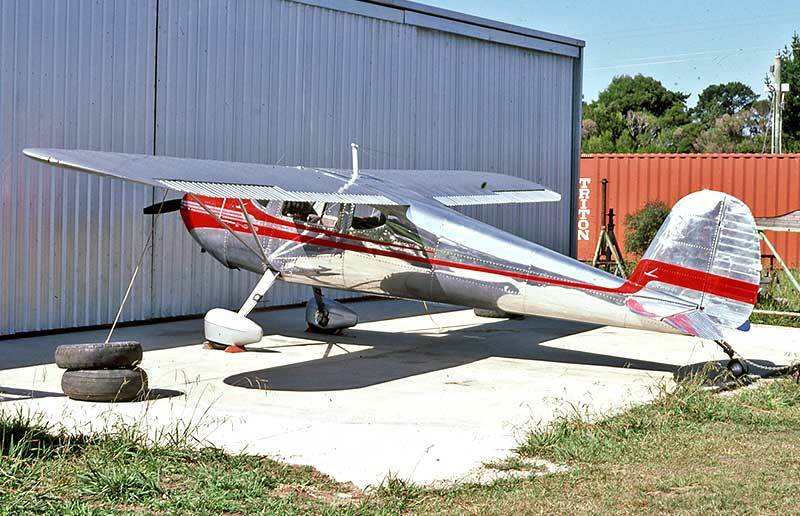 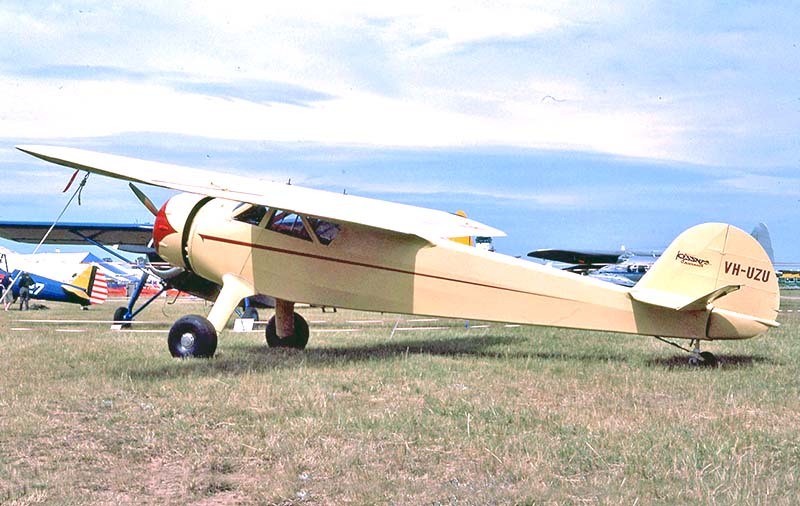 The Airmaster series were wood construction with a metal tube fuselage frame, powered by a 145hp Warner Scarab radial. 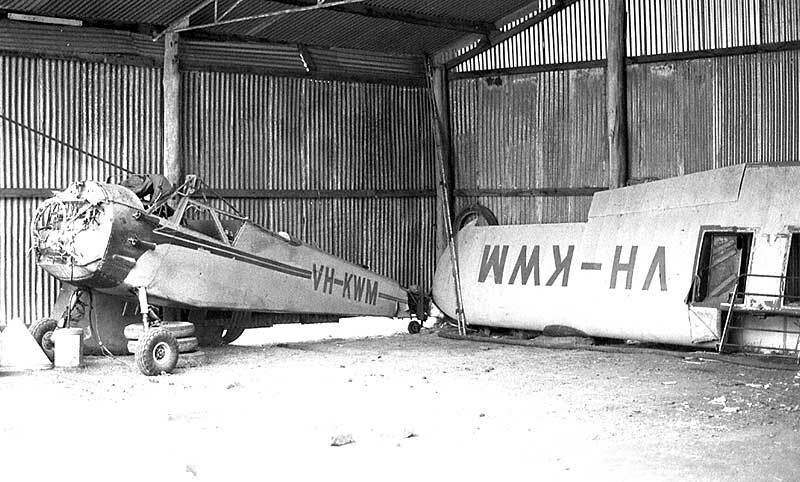 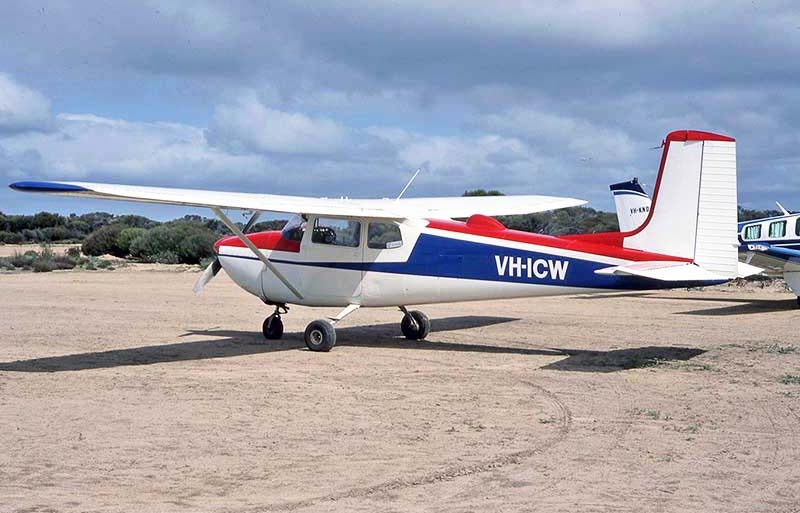 Waiting in the wings was our only other pre-war Cessna Airmaster, C-34 VH-KWM, stored on a farm near Bendigo Vic. 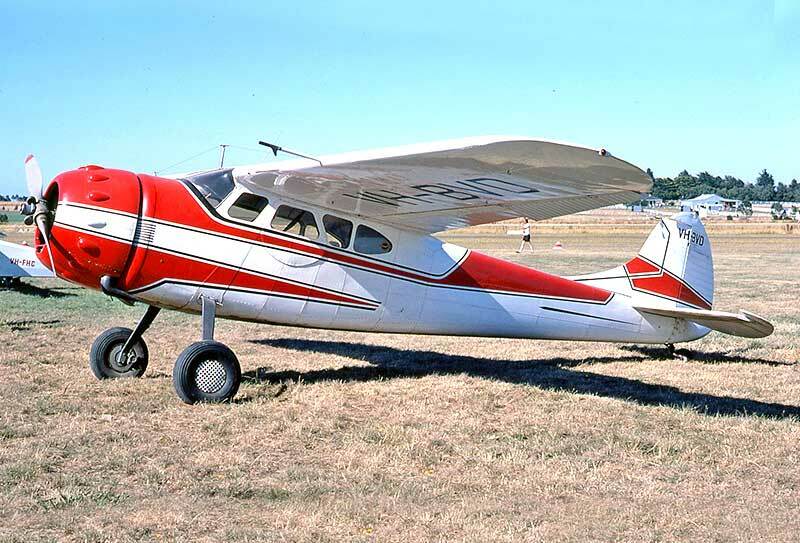 but customers had a choice of radial engines: the 190 had a 240hp Continental W670, while the 195 had various Jacobs radials. 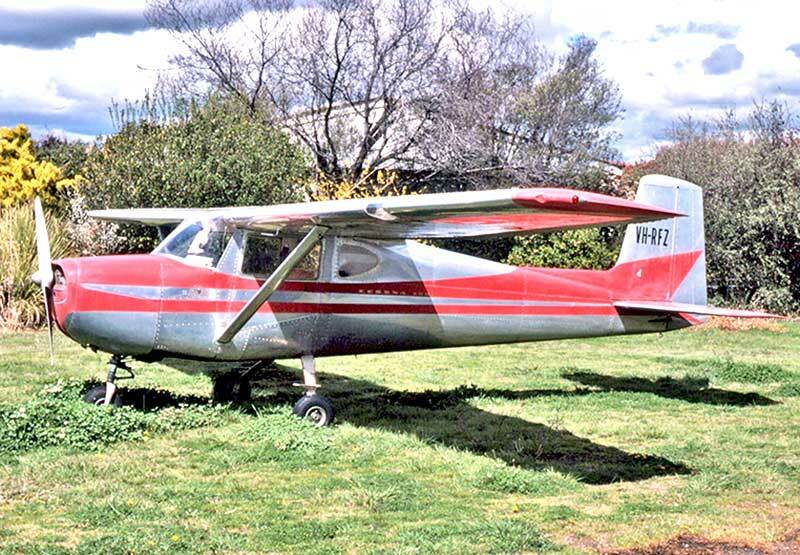 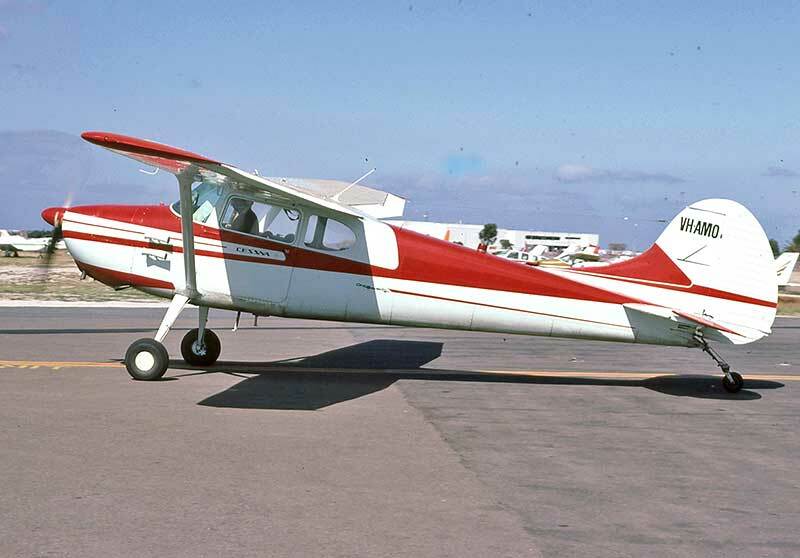 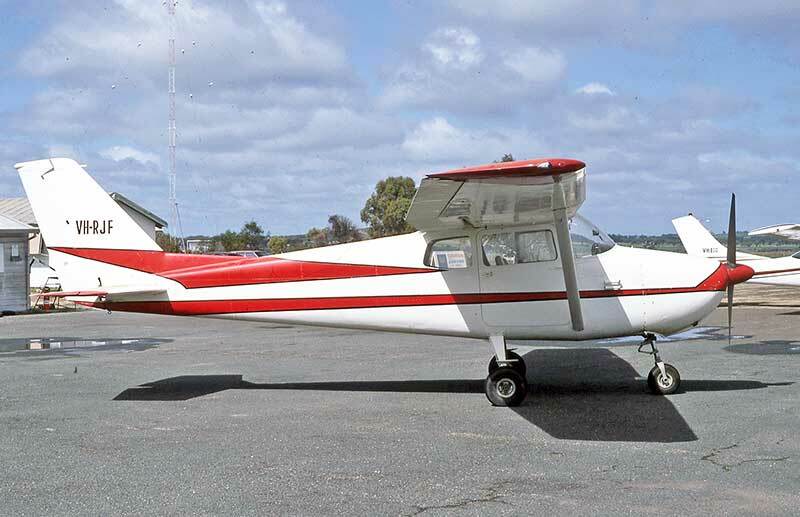 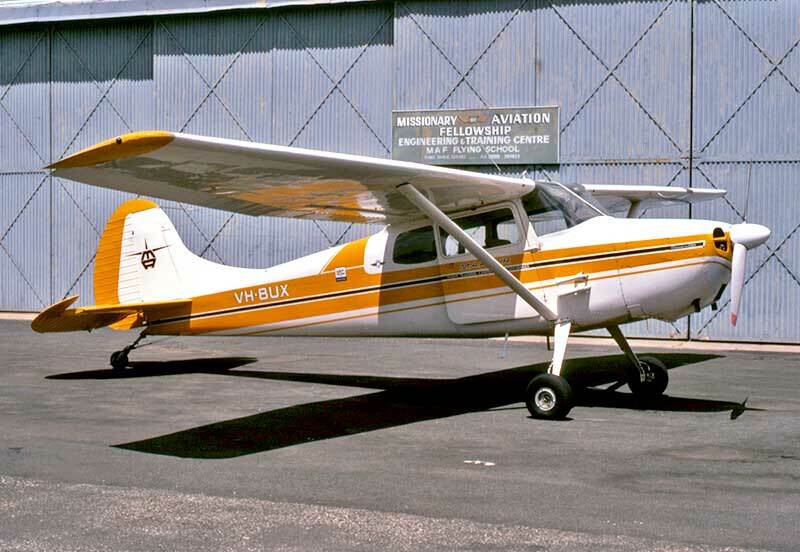 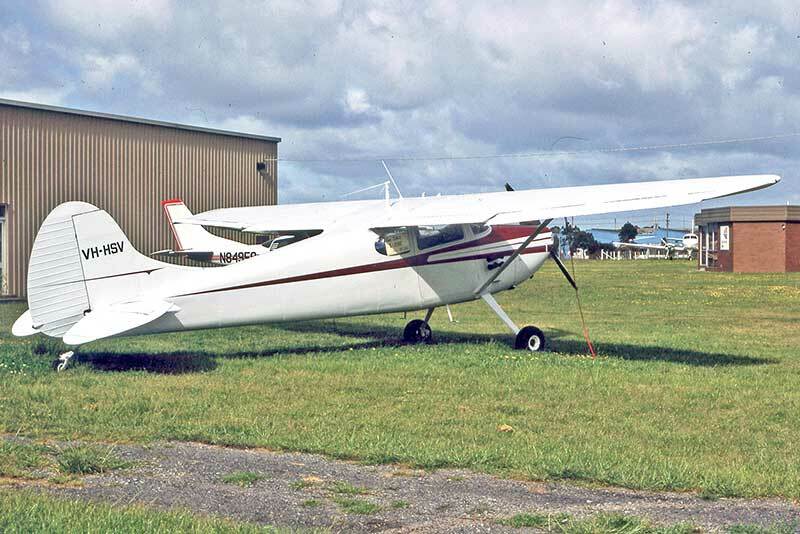 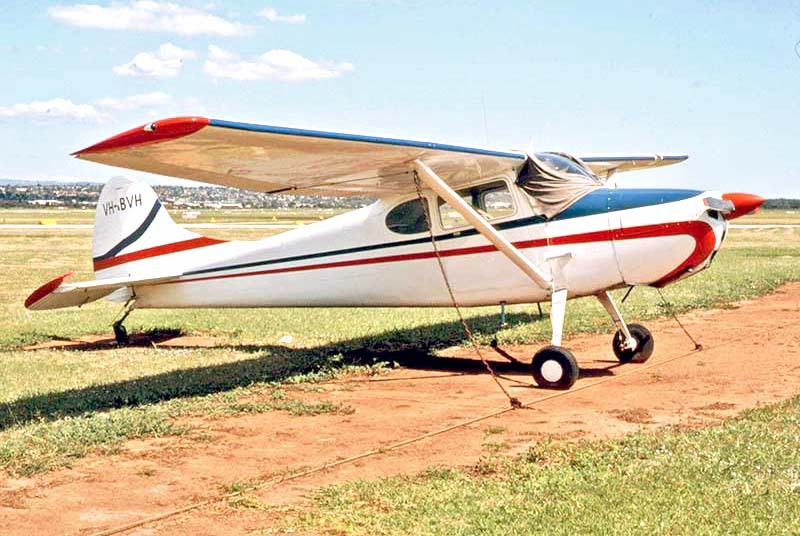 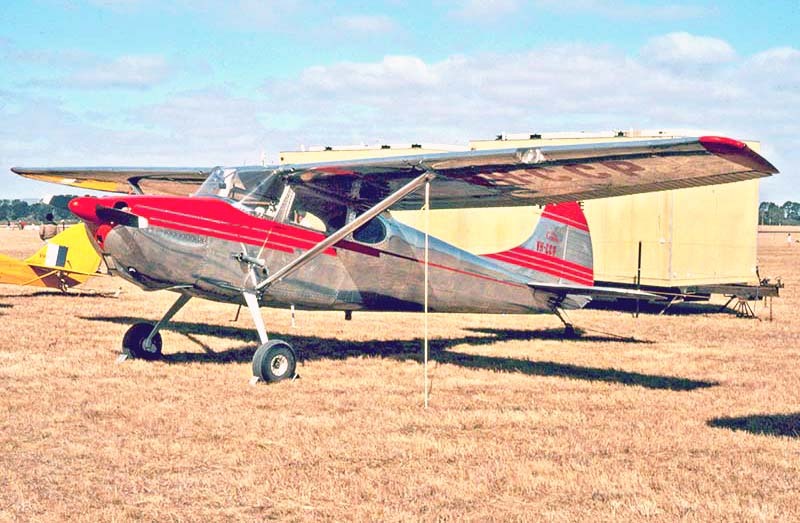 By the 1980s early model Cessna 150s retaining their Wichita factory original paint schemes were no longer common.